Indie Retro News: Super Night Riders - Motorbike riding retro inspiration out on Steam! 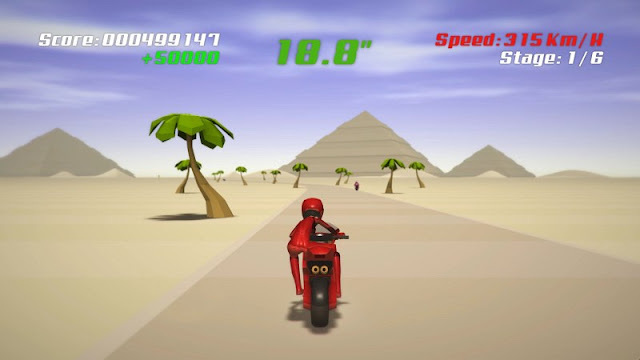 Super Night Riders - Motorbike riding retro inspiration out on Steam! Through all these years of writing, we always get to see retro inspired games that are either platformers, shoot em ups or beat em ups. We've also seen the odd racer that looks like some sort of mental trip back to the 80's, but we have yet to see a decent Motorbike game, at least until now. This is Super Night Riders by Neko Works, a completely wild ride as you race through 36 beautiful stages in 6 challenging courses as fast and as far as possible to reach each checkpoint. Inspired by those arcade and console classics, Super Night Riders is available for PC and Linux, and has already gathered some decent feedback from those that have purchased it on Steam. Feedback such as, " The absolute best homage to classic Sega AM2 games I've ever played, nearly perfect were it not for the cluttered night stages " and " Only played about a half hour of this game, but it is awesome! Especially for the price. Great soundtrack and colourful graphics ".